You can improve the way your hair looks easier than you may think. Many of us have habits that damage our hair without our being aware of it. These tips will show you how to get fuller hair easily, simply by making small tweaks to your usual hair care routine. You might not know it, but over-frequent washing of your hair will give it more damage than good. In the long term, it will even prevent it from becoming thicker. Frequent washing removes natural oils that your scalp produces, whose sole purpose is to keep your hair healthy and protect it. It will suffice if you wash your hair two or three times per week instead. It will allow your scalp to protect your hair, while not having an ‘oily’ look. If, however, your hair is too greasy, try treating it with dry shampoo. Dry shampoo will absorb the extra oil, while making your hair look thicker at the same time. When you do wash your hair, do it with lukewarm water, the colder the better. Hot water causes hair to become brittle and to dry out. Washing it with cold water is one of the ways how to get thicker hair over time, as it will prevent damage and breakage. How you dry your hair might also influence its health and looks. The best way to approach the wet hair is by gently tapping it with a towel. Any harsher approach, like wringing out, might cause the hair to break. It would be best if you could just tap it gently with a towel and then let it dry naturally. 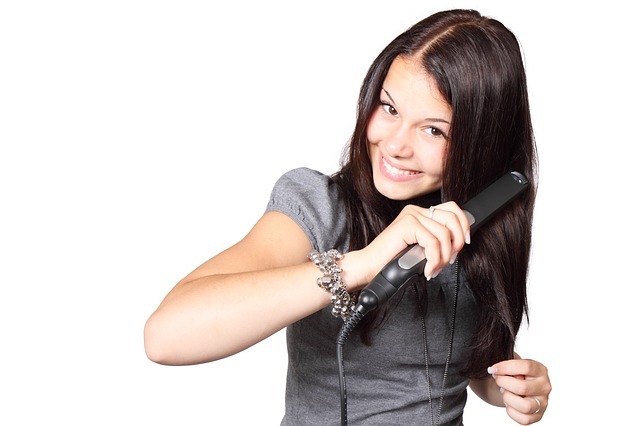 If you absolutely must use blow-dryer, set it at the minimal possible temperature. Proper brushing is also one of the keys how to get fuller hair. If you do it while your hair is still wet, you will break much more hair than you would if it was dry. Overly frequent, harsh brushing will cause your hair to thin out eventually. To be on the safe side, use a brush or comb with wide tooth, and go gently about tangled ends. Having proper nutritional habits is extremely important for your hair’s health and looks. If your regular nutrition doesn’t provide your body with sufficient quantities of the vitamins and minerals, your hair will show it. CatalaseNow is a natural hair supplement that provides your body with the highest quality of vitamins and ingredients, helping support your hair growth and thickness. Take advantage of this best-deal offer, order it online completely risk-free, and start giving your hair the care it deserves.